I own a Leisure Bay 18x33 above ground pool, #1833 that has a 52" liner that I purchased 10 years ago. I purchased it from Rec. Warehouse that has gone out of business. Can you tell me where I can find the top horizontal covers/rails, they are the flat pieces that are more cosmetic and cover the structural vertical braces. Also the vinyl/plastic caps that cover where the horizontal covers come together. My email is abba@ntin.net and my phone number is 903-564-7440. Hey, Did you find the parts for your pool, if so where. I have a 24 foot round that the plastic part of the rail are broken. I have searched all over Tulsa and no luck finding them. Email me at robynjo21@yahoo.com please and let me know where you find the parts. I have seen several comments that REC Warehouse has gone out of business. I just talked to them this morning while searching for top-rails for our 1998 Leisure Bay 15x30x52 Oval Pool. 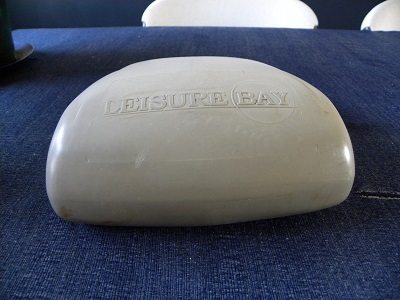 I am looking for a source for Leisure Bay pool frame parts. Right now, I need top caps for a ten year old Leisure Bay above ground pool. I can get photos of the top caps if necessary, but all I really want is a source for various parts. Any Ideas? We purchased a Leisure Bay 15' x 24' Pool from REC Warehouse 10 years ago. The pool is falling apart. I was told by a REC Warehouse customer service agent to contact Wilbar as they assumed the manufacturing over from Leisure Bay. After 8 weeks Wilbar said that that was incorrect and that I should file a claim with www.mypoolwarranty.com. I did that 9 weeks ago and cannot reach them nor have I been contacted. We inherited a Leisure Bay 24' round above ground from my husband's parents. We need an entire bottom rail (all rusted out) and 16 of both top and bottom plates (we have most of them, but if we could replace all of them, we'd be happier). We've heard Leisure Bay is done with, but you can't beat a "free" pool! Please let me know if you can help!! 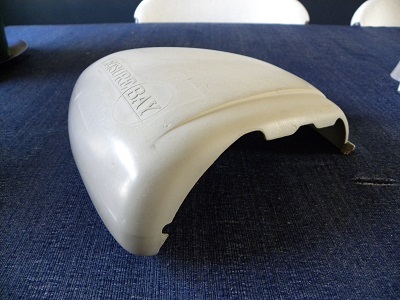 A current ebay listing is offering 18 uprights with top and bottom plates. I have a 24 x 4 Leisure Bay Pool that is about 21 years old and my Connector Caps are all broke. 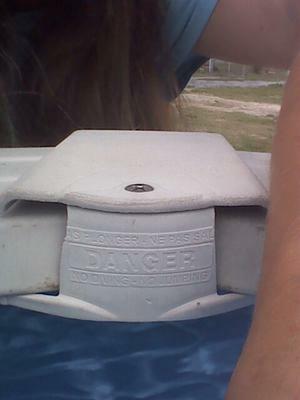 Can you tell me where I can purchase some more for my pool the tops are aluminum so they are fine but the caps are plastic and the sun has really messed them up and after 21 years I can understand. Any Info would be great . I need these too ! have you found any ? My email is jshan1957@iowatelecom.net. Any help on parts for this pool would be GREAT! I also have a leisure bay pool that is about 14 yrs. old and need the top connector inner and outer caps. The pool is still in great condition except for the caps. Can you help? I FOUND THEM ON REC WAREHOUSE & ALSO ON AMAZON THEY ARE NOT CHEEP REC WAS $176.00 FOR 16 & AMAZON $208.00 FOR 16 OF THEM. HOPE THIS HELPS! I too need these same caps and top rails. Any luck in finding them?? I acquired this pool after house next door burnt and we got the land it was on. This pool is an older model Leisure Bay. Carribean model I think. I am looking to replace the top plates and no one seems to carry these parts. Any help with this would be greatly appreciated. 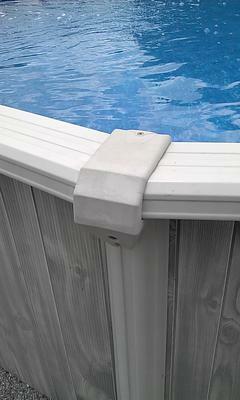 I have the pool up and running but for safety reasons as well as looks I would love to have these replaced. Thanks to anyone with any help on this matter. That's exactly what we are looking for. Any luck on them? I am looking for them too!! We have a Leisure Bay 15'x30'x52" which we bought new in 1999. I am looking for two of the aluminum top rail parts. Can you help or refer me to someone who can supply these two top rail sections? I am looking for the metal post brackets for an older Leisure Bay 27' round pool. I have a Leisure Bay above ground pool that we have changed from a chlorine system to a salt water system and the top rails are rusted. I am looking to replace the top rails with something that will not rust. Any recommendations on replacement of these rails and where I can order them?